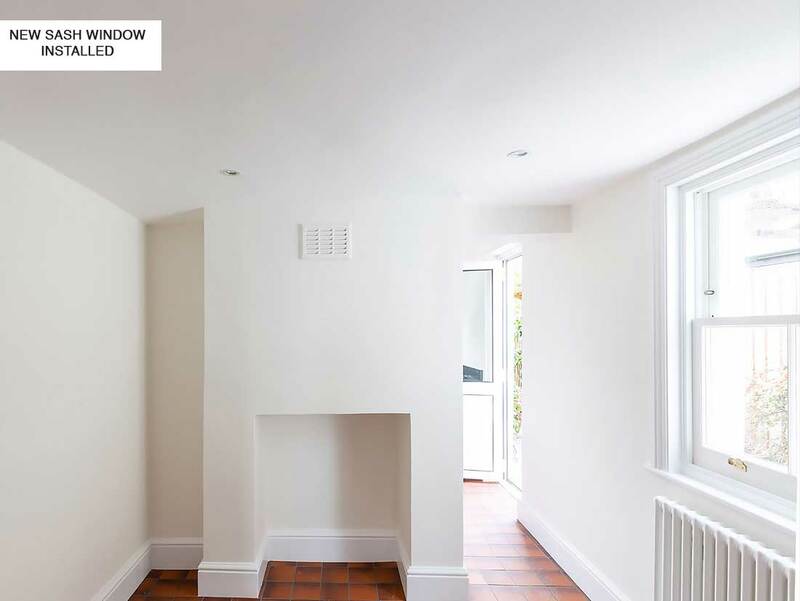 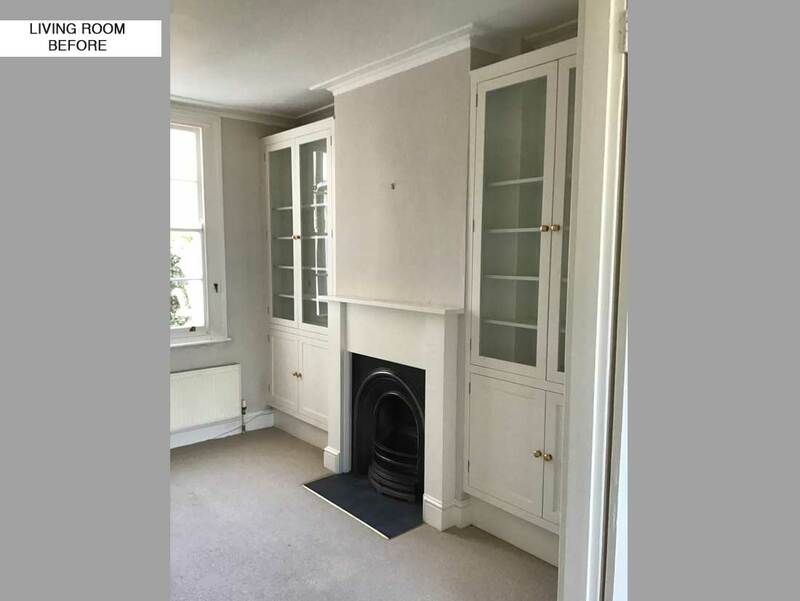 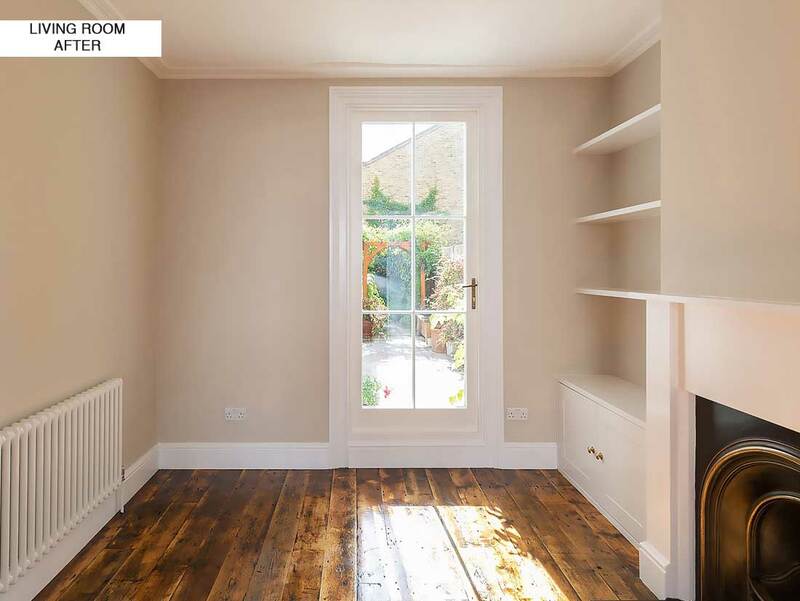 House Refurbishment for a property located in Walnut Tree Road, Greenwich SE10. 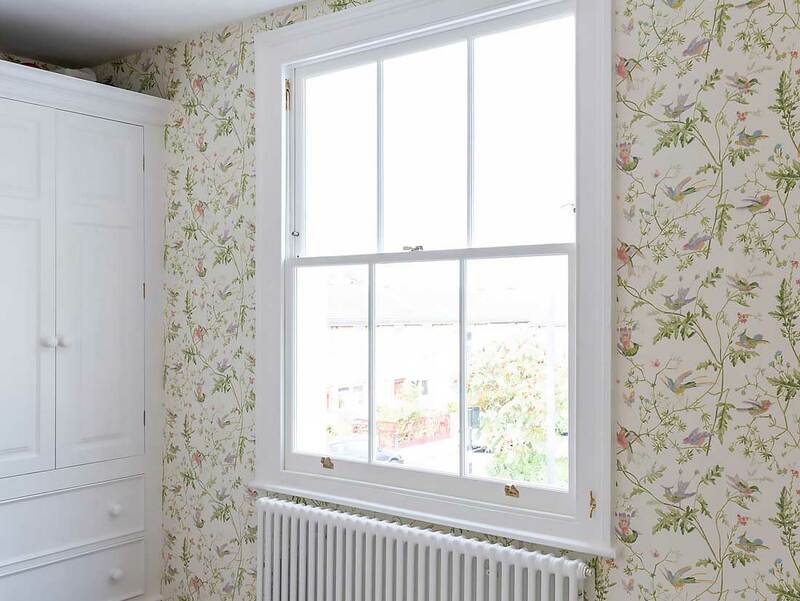 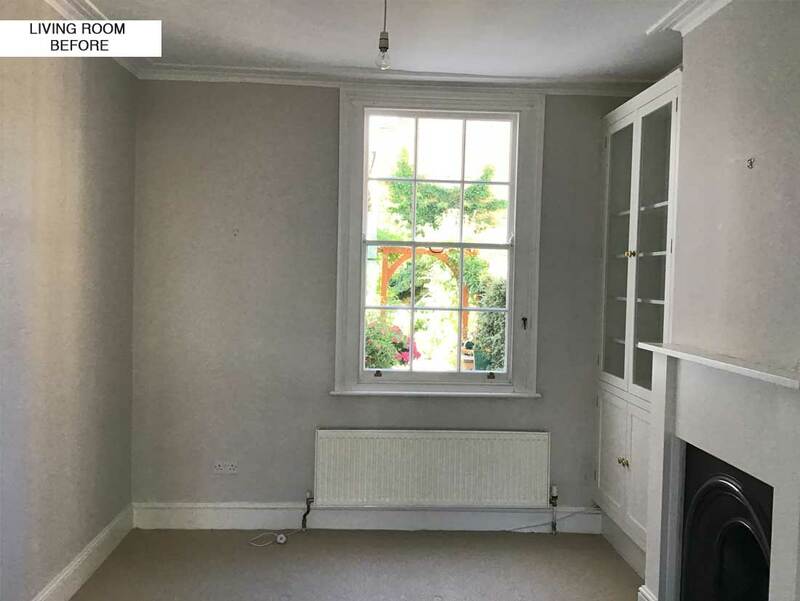 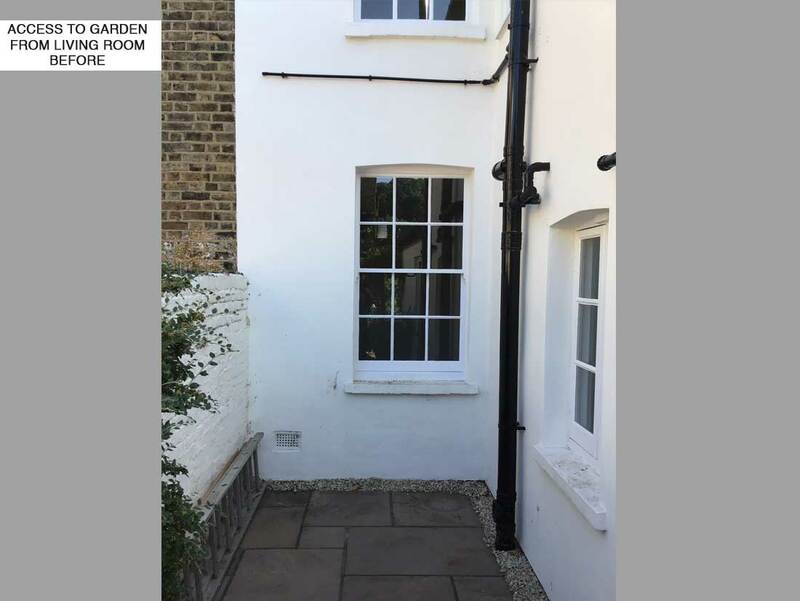 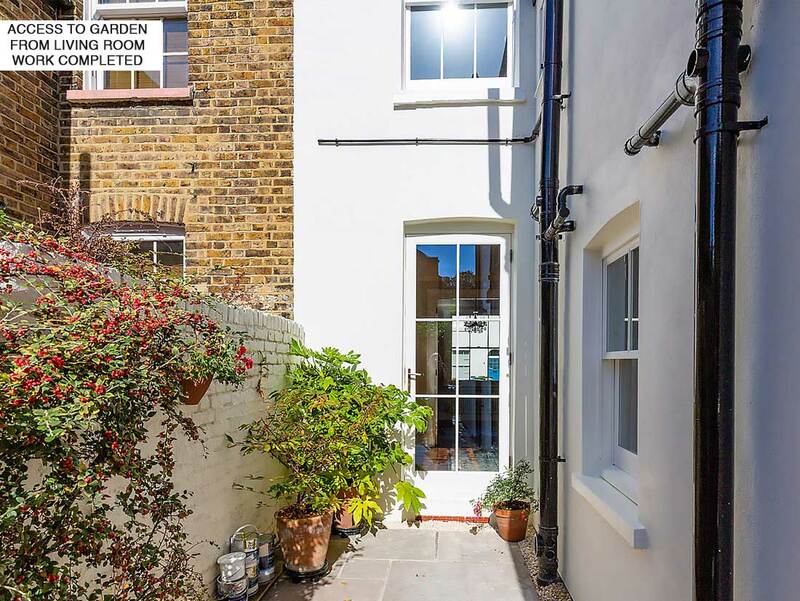 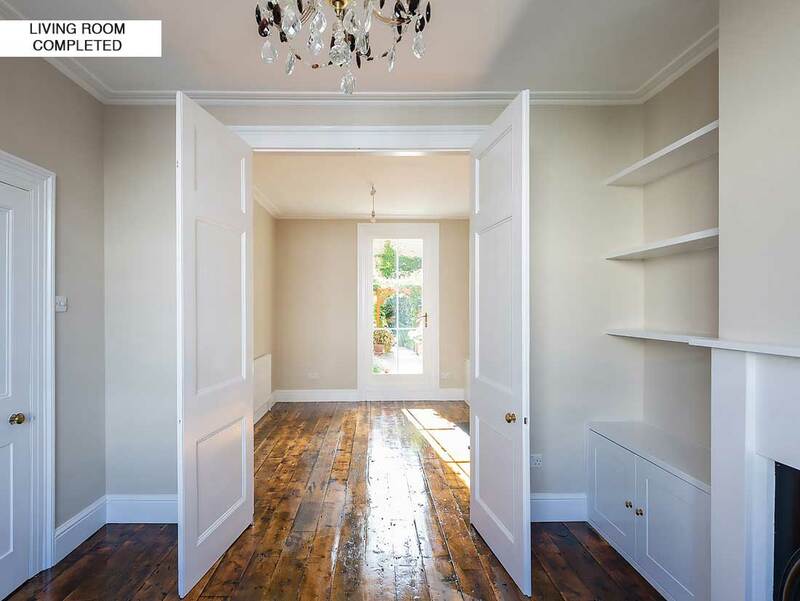 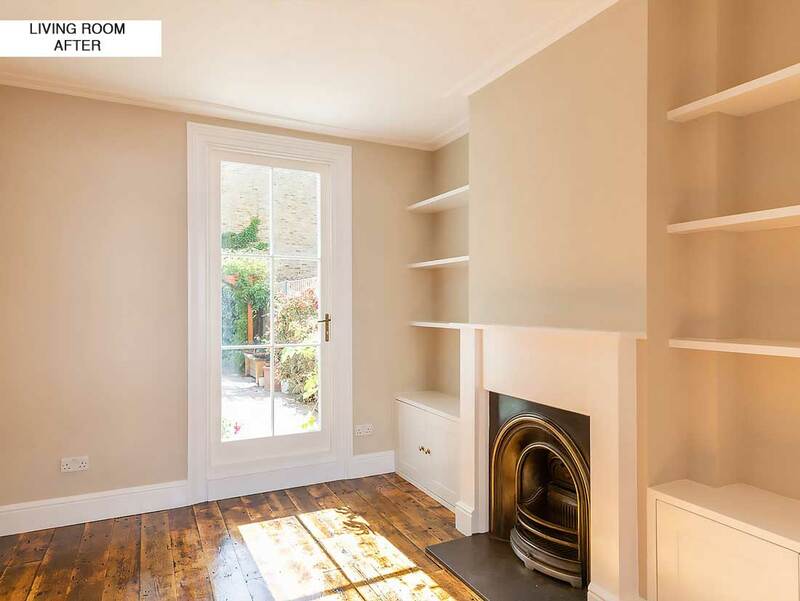 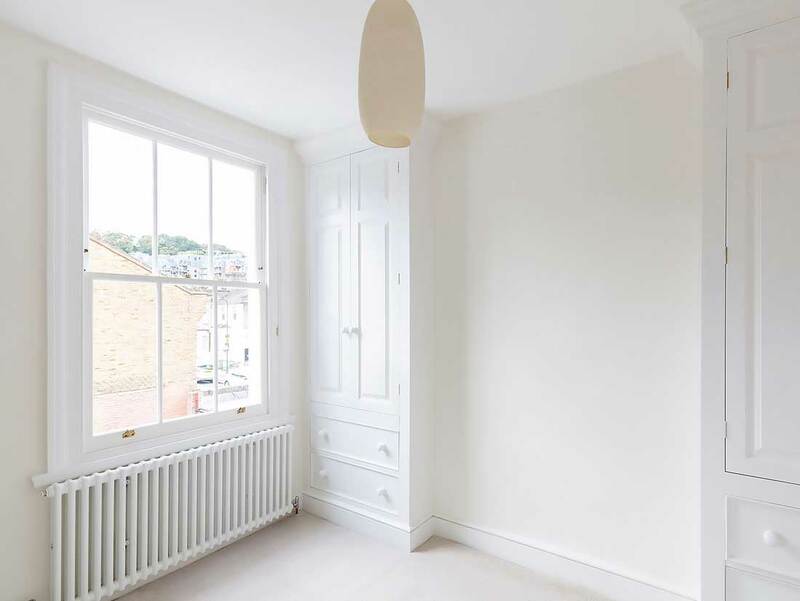 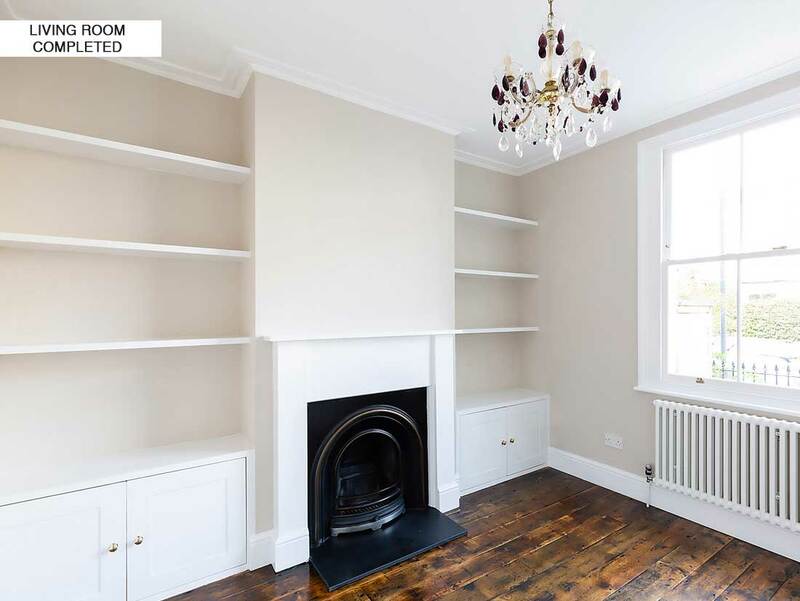 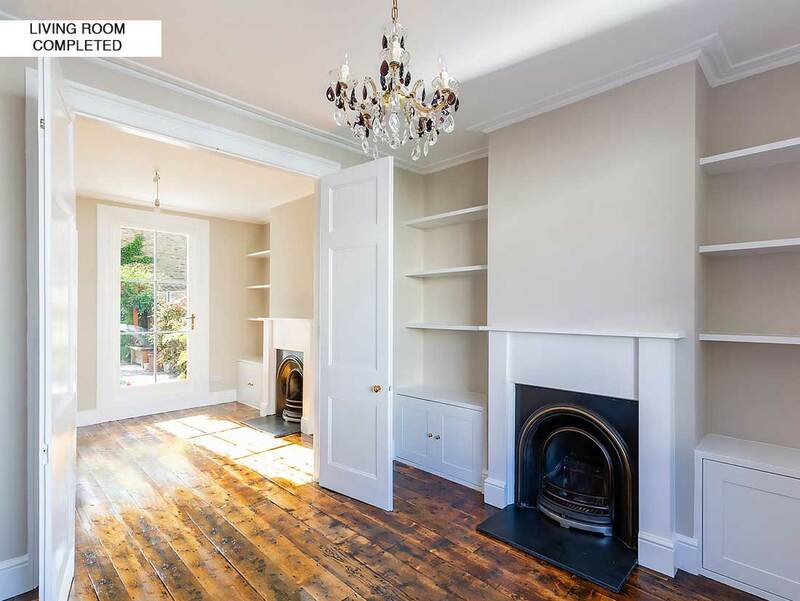 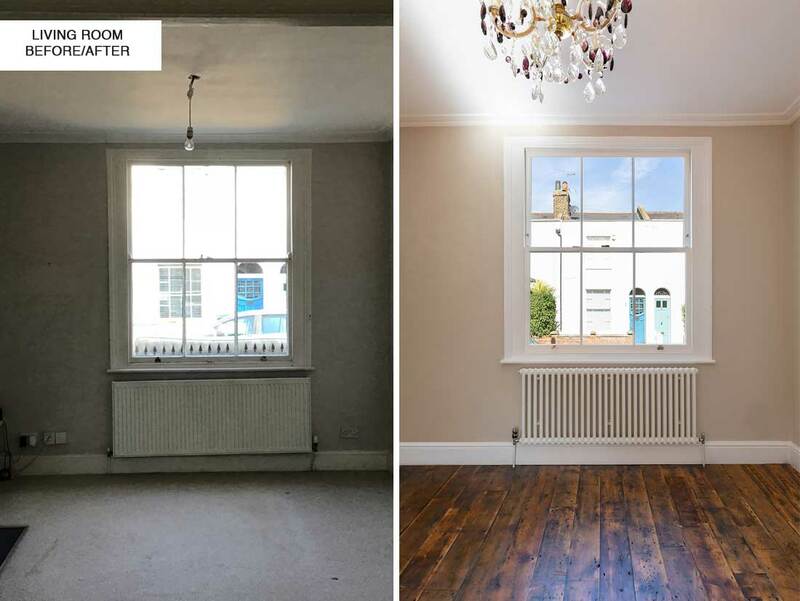 Extensive ground floor refurbishment, including new Sash windows and decoration throughout. 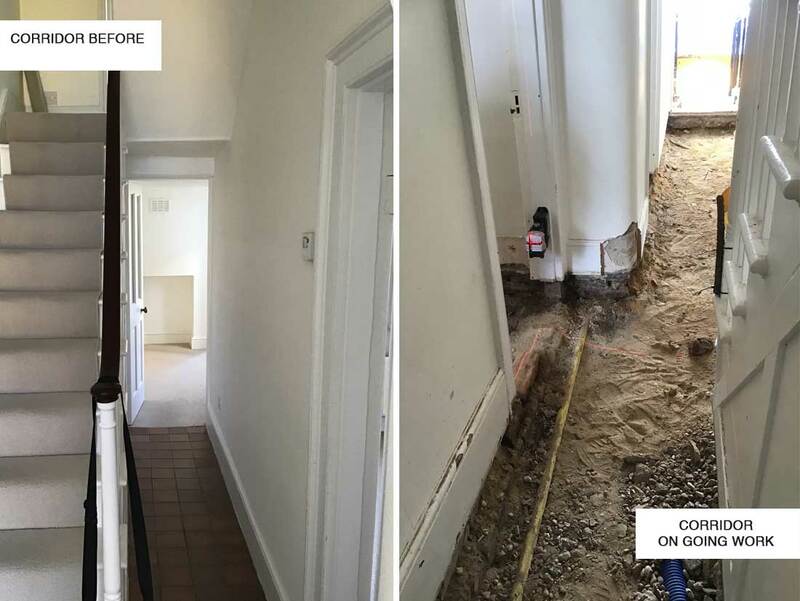 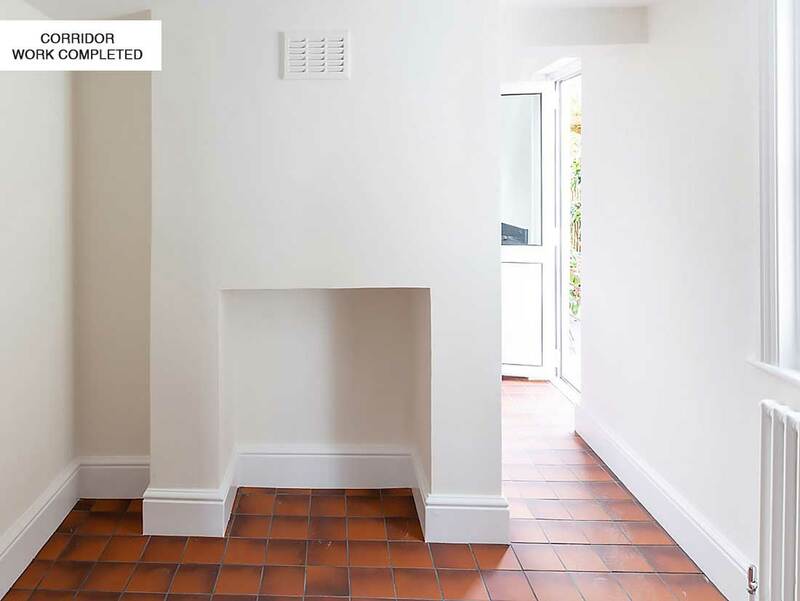 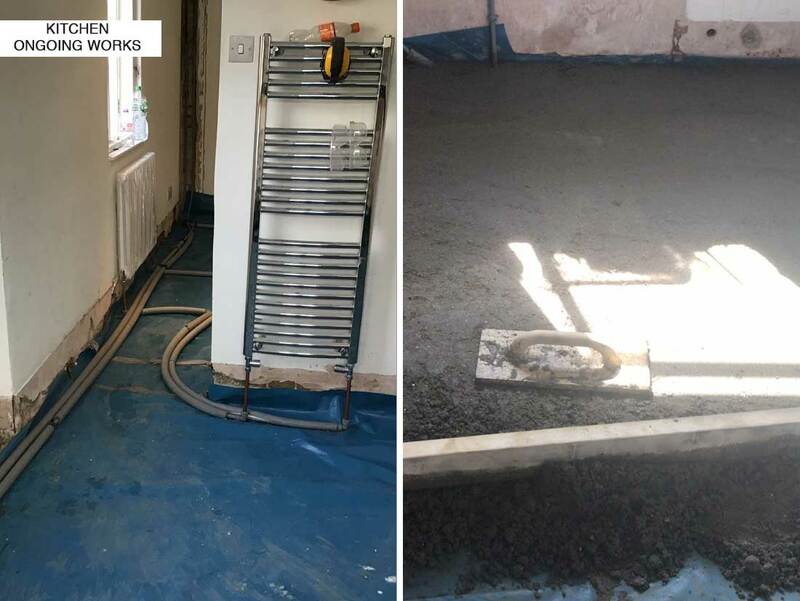 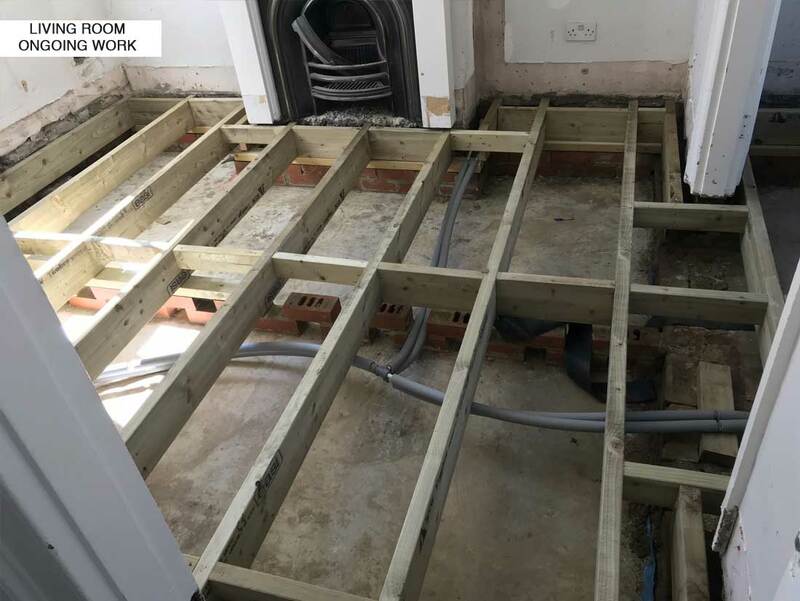 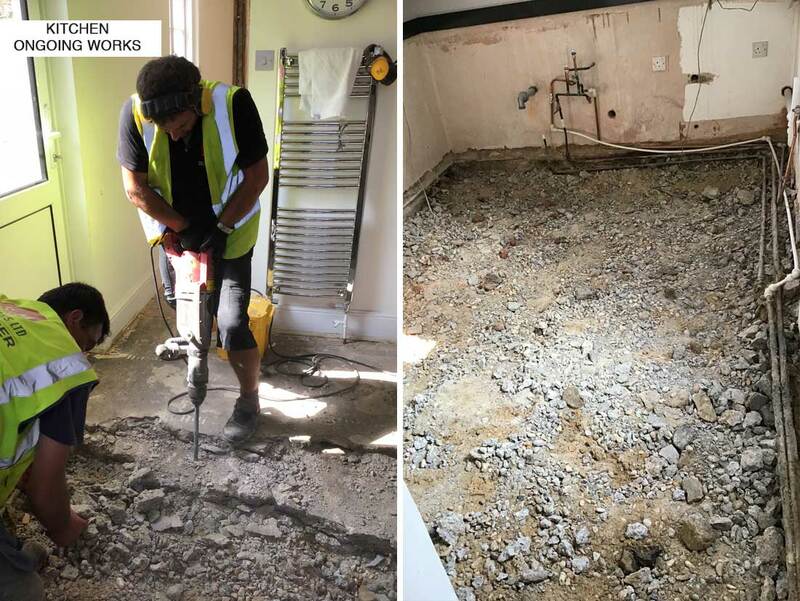 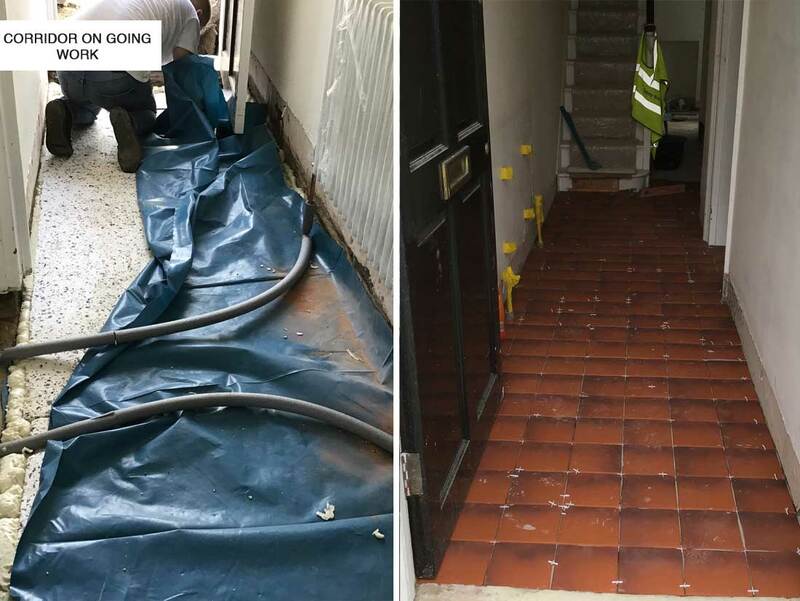 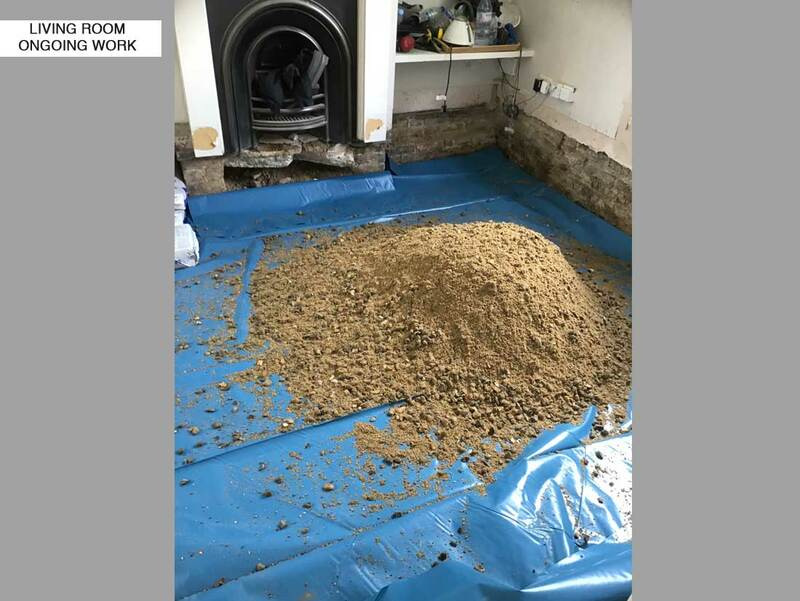 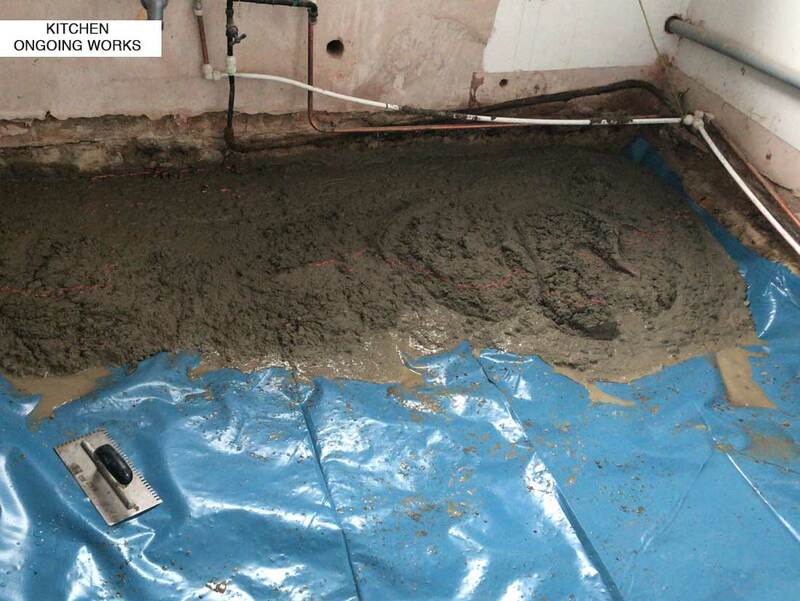 Job involved removal of the existing concrete floor and old plumbing which was decayed and leaking water, replaced with new mains water pipe, new central heating including installation of the trendy Acova 2 column radiators. 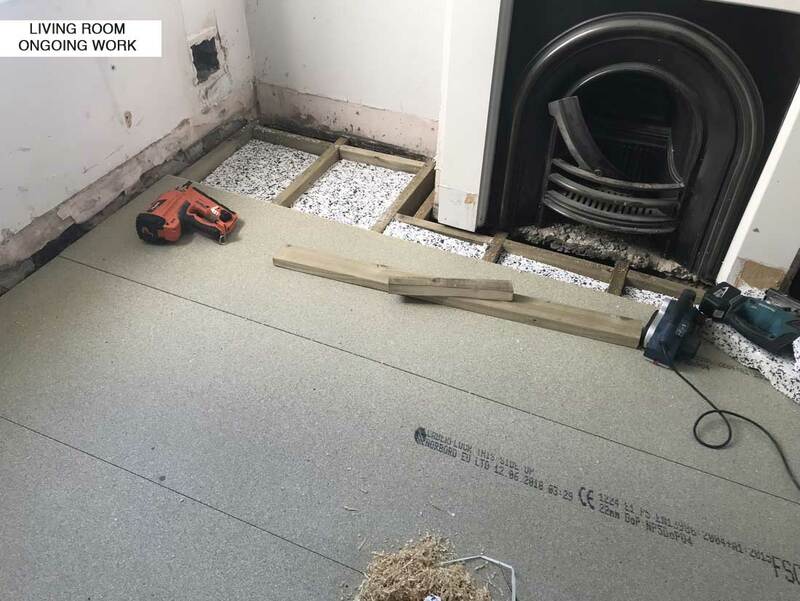 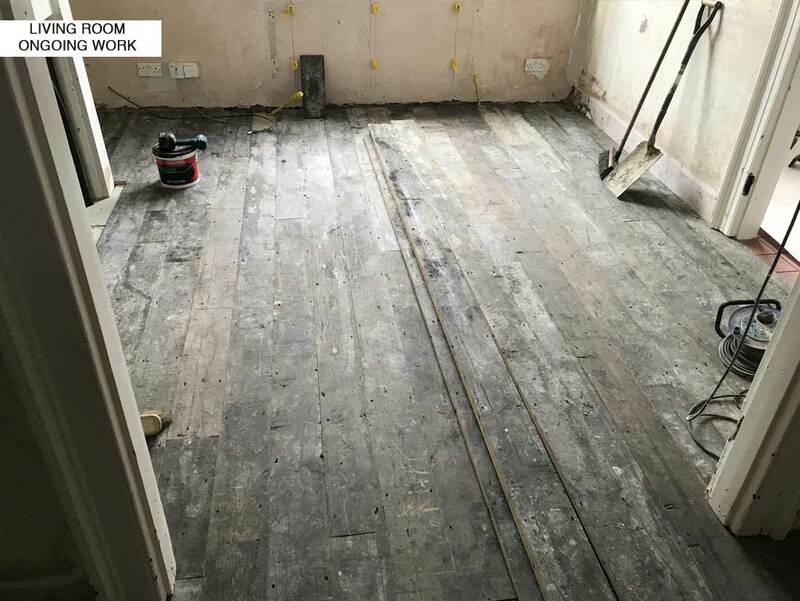 Installation of new flooring with insulation throughout and a suspended floor with reclaimed pine floorboards for the lounge and dining room finished with satin Lacquer and 2 Hearths for the Fire Places. 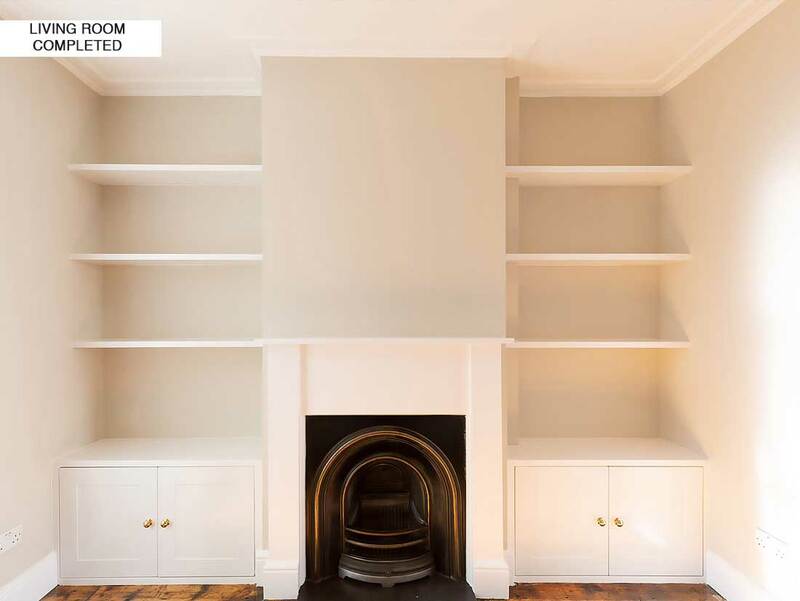 Hand built timber floating shelfs and cupboards on the sides of the chimney breast. 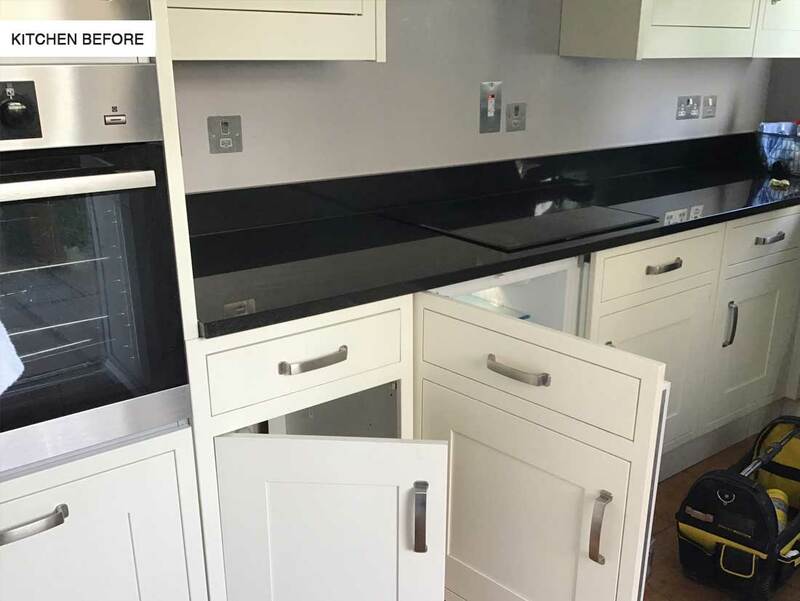 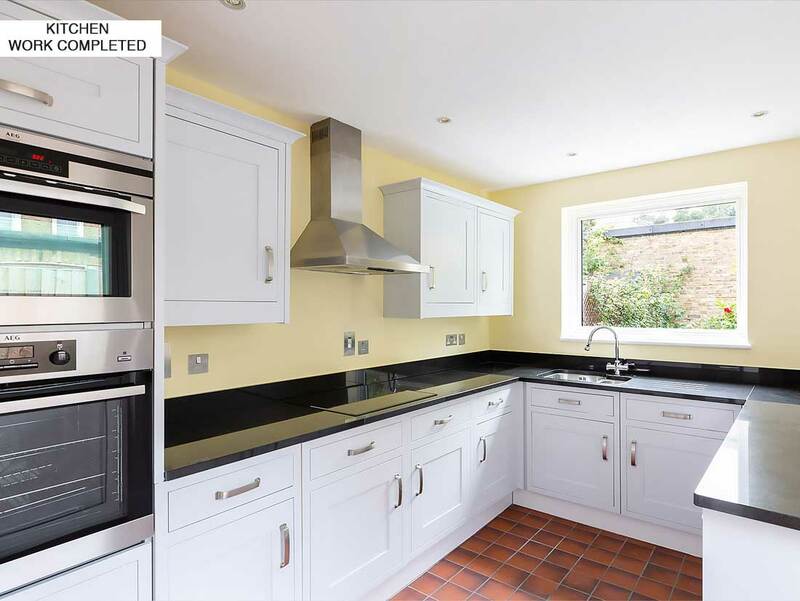 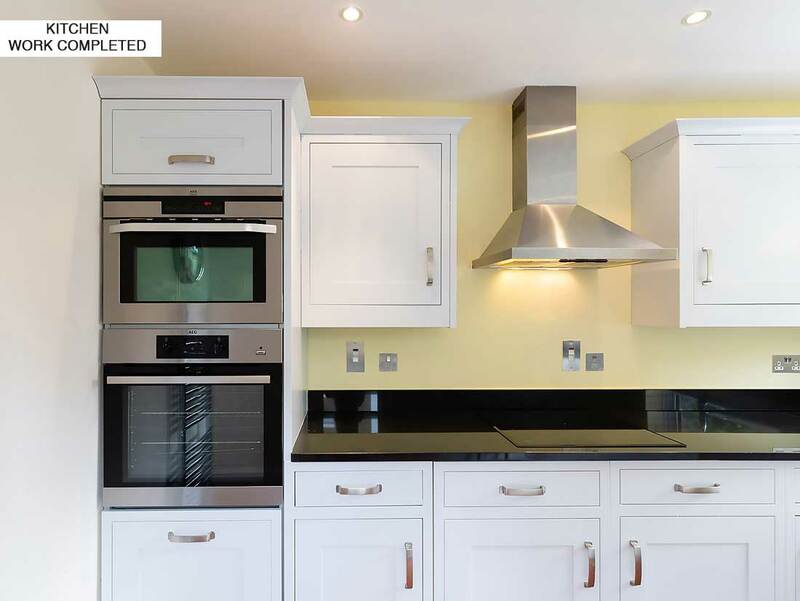 Removal and reinstallation of the existing kitchen units including the granite work top which we managed to save. 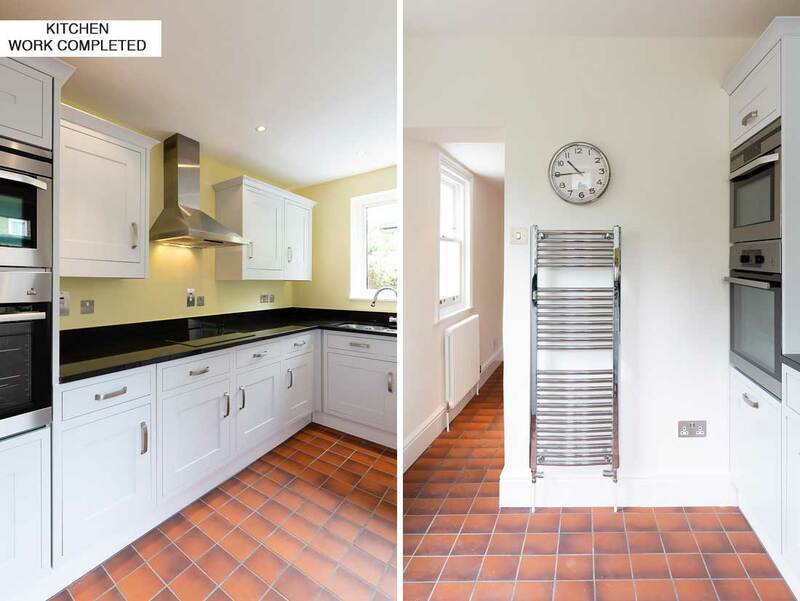 Tiling with quarry tiles for kitchen, breakfast room and hallway. 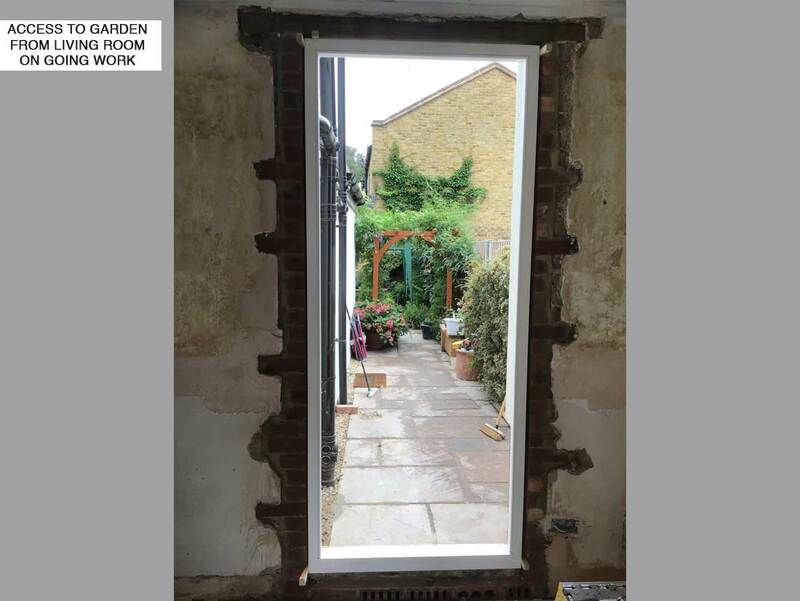 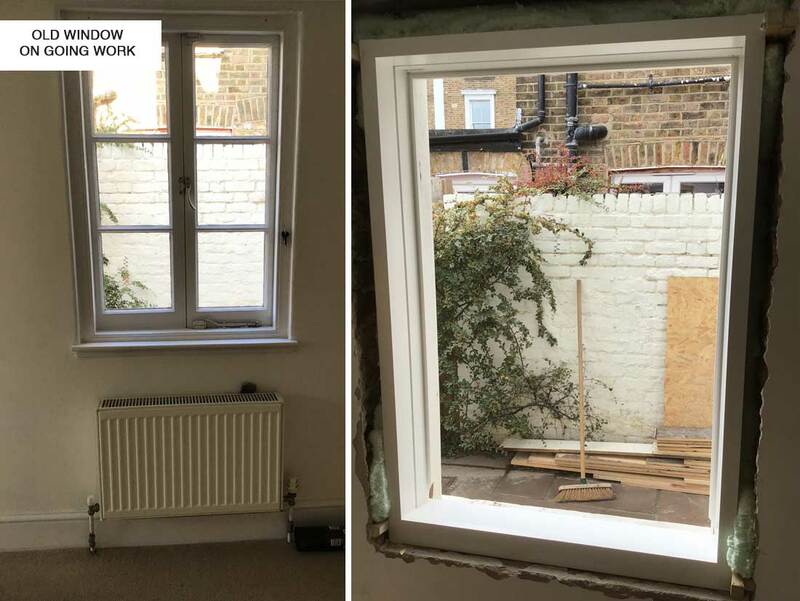 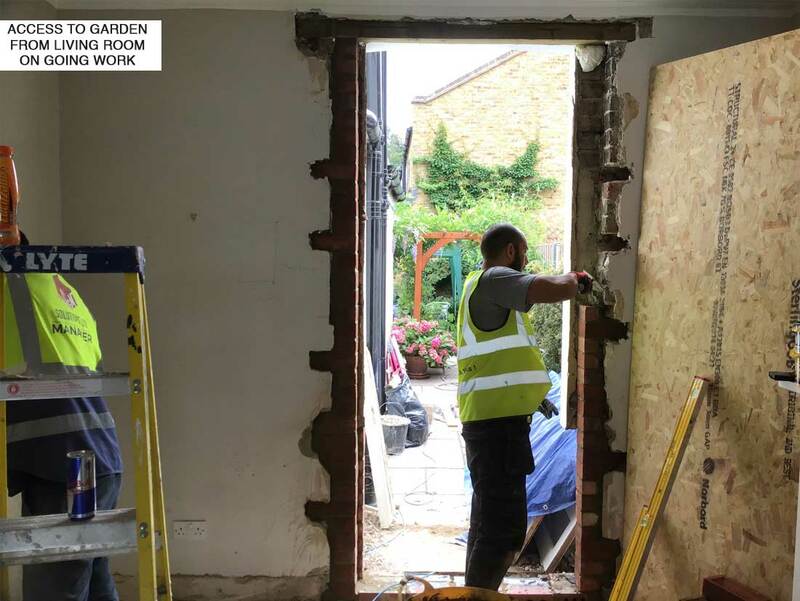 Removal of the old window in the dining room looking into the garden and installation of a new Accoya timber double glazed door that brings loads of light into the room but also leads straight into the garden.